Duct work with leakage 5% and above, inconsistent temperatures and air flow. IAQ Services expert team can help you! Step 1: Do you have leaking throughout the ductwork or indoor air quality is poor? The diffusers are temporarily blocked while the sealant is blown throughout the duct system. Pressure maintained within the system causes the air to accelerate as it exits through the leaks. 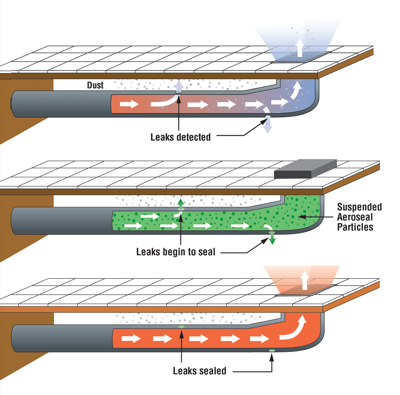 The Aeroseal particles build up to span and seal the holes, up to 5/8 inches, without coating the ductwork. 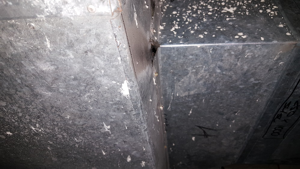 Aeroseal effectively seals ductwork from the inside out. Air balance report indicated that the building failed the smoke test, as the duct work had leakage. 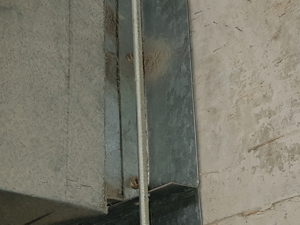 The only option was to seal the duct work internally and the riser cannot be removed. Zone 1: Total leakage of 13.75%, after using Aeroseal by IAQ Services the leakage percentage was reduced to 1.28%. This product is effective, efficient and economical. Why did you choose Aeroseal by IAQ Services? Upon research looking for duct sealing methods we found Aeroseal by IAQ Services and choose to try this method. Results show it worked very well. “Very effective way of sealing duct work without removing it”. “IAQ Services is pleasant to deal with. They completed works within allocated time frame and we received the result needed”. The Aeroseal particles build up to span and seal the holes, up to 1.58cm, without coating the ductwork. At the conclusion of the process, the diagnostic test is performed again summarising your building’s amount of leakage reduction to ensure Aeroseal was successful. Increased Energy Consumption – With fan power representing 40-50% of HVAC energy usage, leaking costs can be significant due to the increase in fan speed to compensate for leakage; even 15% leakage can lead to an increase in system fan power of 40%. 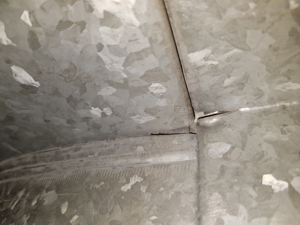 Code Issues – Leakage can lead to ventilation and safety code issues relation to exhaust, along with excessive fan power use.